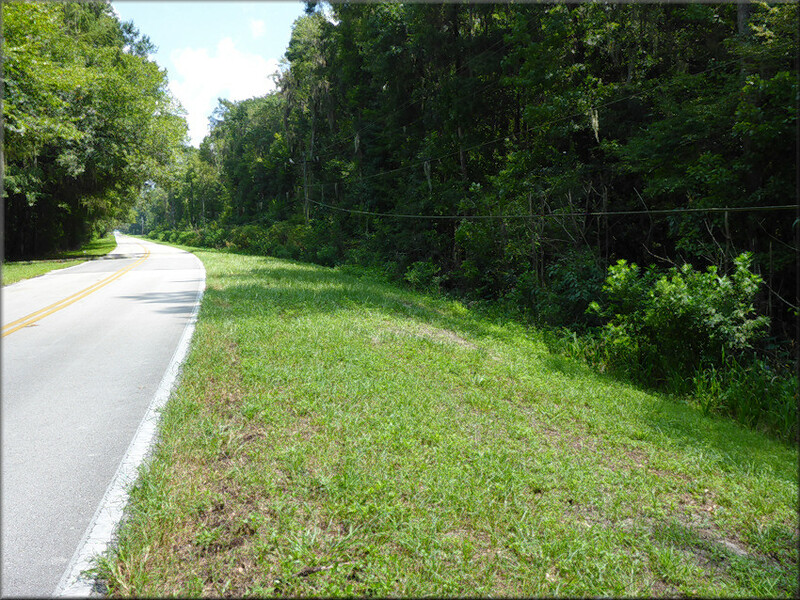 This site, on the south side of the road (GPS: 29.55430N 081.34320W - WGS-84 Datum) 0.5 miles north northeast of Bass Haven Lane, encompasses the roadside swale adjacent to a permanent source of water (cypress swamp). During a follow-up visit on 12/28/2009, empty Daedalochila auriculata shells were also found on the north side of the road in close proximity to the St. Johns River. The view below, photographed on 8/19/2015, is looking to the northeast.